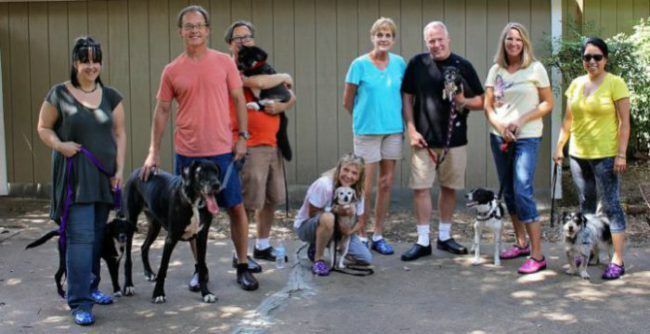 We asked Park Cities Pet Sitter in Dallas, TX to walk in our shoes (really) as we walked in their shoes via our sit down with Joette White, owner of Park Cities Petsitter. Is it safe to assume you love animals? Yes, indeed! Animals are incredible and bring so much to our lives. When did you know animals would always be a big part of your life? I have had pets as long as I can remember. I have rescued more animals than I can recall. They need us to be their advocates. I had the opportunity, in my 20’s to start working with pets and knew I wanted to do this the rest of my life. Do animals still surprise you? You bet! They each have their own personalities and I love getting to know them. They can be super crafty as well. Finding ways to get what they want or where they want. What do you tell all your pet sitters to be prepared for? I tell all of my staff that in this job they will receive lots of love and kisses from the pets they care for. They will form a bond with many of these animals and fall in love…but sometimes your heart gets broken when and aging pet finally passes. It can be bittersweet at times. 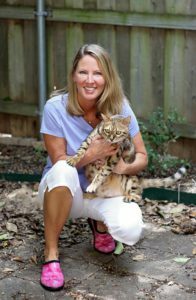 Your pet sitters wear our paw prints shoes. What do they like about them? They love them. They love how cute they are, but more important, how comfortable they are. They also feel the are ready for nearly any type of weather.